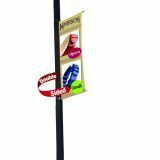 Custom outdoor vinyl banners will lend a joyful and festive look to your promotions and the neighborhood, where your office stands! 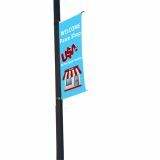 Vinyl outdoor banners are becoming hot marketing trend amongst small and big budget marketers around the USA. 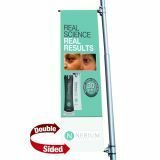 Lately marketers have grown to the realization that outdoor vinyl banners are affordable and reliable than large sized billboards. What are you waiting for? Stand tall against the competition with special, durable and affordable customized outdoor vinyl banners from ProImprint. 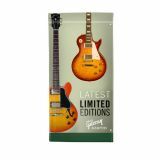 Price includes online design proof, artwork assistance and 100% customer satisfaction guarantee. 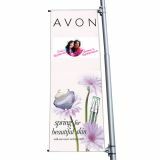 Customized outdoor vinyl banners are grand banners that can boost your brand appeal in a credible way. When most people imagine vinyl banner, the images of a yellow or red retail banner promoting some grand opening or discounts comes to the mind. However, outdoor vinyl banners can include more than just the regular information and you can position full color graphics over them. 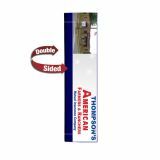 Outdoor banners are equipped to weather harsh weather, regular wear and tear. They are equipped with extra sturdy bases and UV resistant finish that helps to keep the imprinted matter crisp and fresh for a long time. Outdoor vinyl banners are usually large and readable from several feet away yet they are largely affordable than billboards. 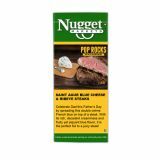 They can be displayed anywhere from outside your office to tradeshow venues to exhibitions. 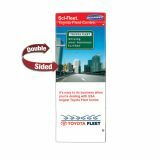 Large outdoor vinyl banners help to generate traffic, promote services and spread the word around. 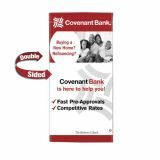 The ease of installation, durability and cost effective of these outdoor vinyl banners make them perfect for all types of promotions. 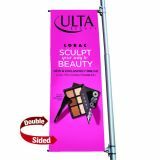 Full color logo printed outdoor vinyl banners are common around tradeshow venues crowded with several niche competitors. 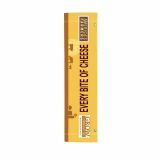 Marketers use these larger banners to build strong brand impact and attract new customers to their business. 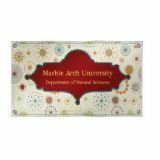 All our customized outdoor vinyl banners are made from high quality materials and they can withstand all types of weather. They are durable and can be used indoors and outdoors to build an impact. We use only high-quality printing techniques to produce top-notch promotional designs. 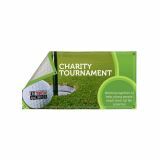 If you are really interested to promote your business at low cost with maximum impact then outdoor safe vinyl banners are an ideal solution. Once you have made a purchase decision, you can submit your print-ready artwork file at the end of the order page or email it to art@proimprint.com. We use CMYK color profiles and large format digital printers to achieve a professional quality for images, text and graphics. 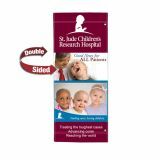 There are vinyl banners in various sizes from small to large format to fulfill your promotional requirements. 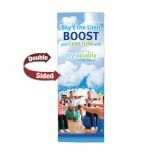 The promotional possibilities are simply endless with their outdoor safe promotional vinyl banners. Our team of graphic designers will help you to conceptualize and design your banner from the scratch. 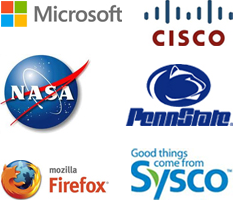 We ensure that our one-of-a-kind designs will help to distinguish your business from the rest of your niche competitors. 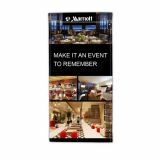 Our best quality vinyl banners will help you in marketing your business in style during corporate events, tradeshows, grand openings and more. If you are ready to weather the competition with confidence and pride, simply call us at 844-776-4677 or write to us at info@proimprint.com to make a difference.